I am loving these Geek-Chic pieces!! My inner-geek jumps for joy at those old-school Mac logo earrings and as for that Pantone nail varnish, I want all of the colours!! The best of design-geek treats with a girly twist– somebody stop me before I buy all of the things!! 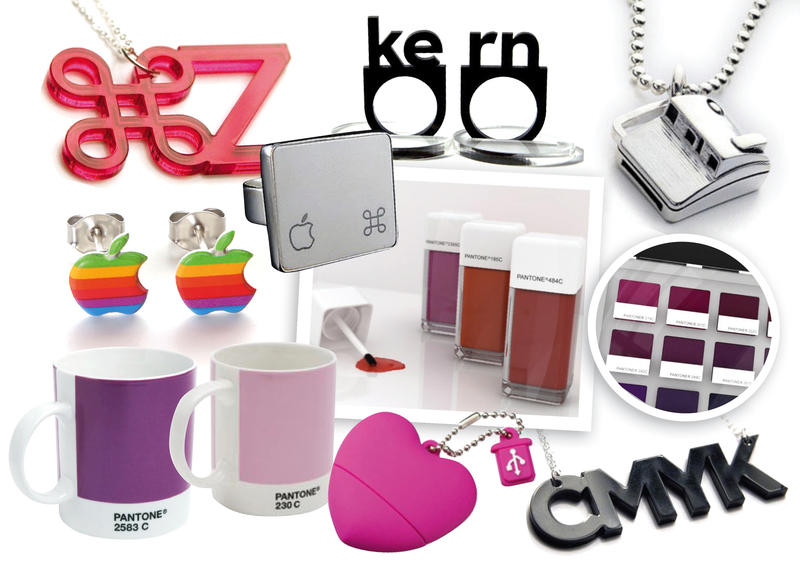 This entry was posted in Top from the shops and tagged apple mac, CMYK, colours, creative dexterity, design geek, geek-chic, girly, graphic design, jewellery, kern, mug, nail varnish, necklace, pantone, polaroid, ring, usb. Bookmark the permalink. Love that CMYK necklace! I saw a ‘TWEET’ version of it somewhere too, want want want!